[singlepic id=262 w=600 float=center] I've begun another small character project. This time it's based on a character from a popular anime series called Tengen Toppa Gurren Lagann. If you enjoy anime at all I highly encourage you to watch it. 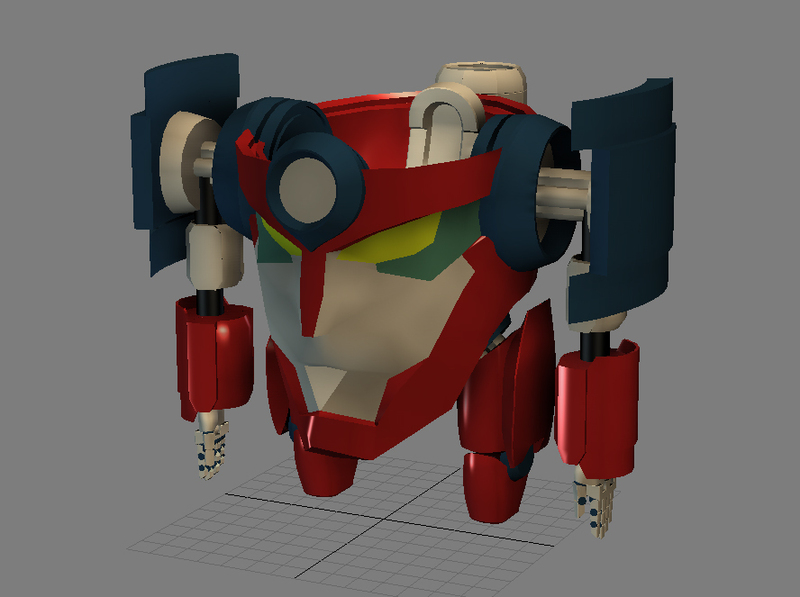 I've decided to try modeling and rigging the mini mecha called Lagann. It's going to be a challenge for me in a couple ways. First, I haven't done too much hard surface modeling, and second, he needs to transform. So this is going to be my first transformation capable rig. As you can see I already have a rough model done up here. The model itself is proving difficult to nail down, due to the 'cartoon physics' of his animation and transformations, so thinking ahead to the rig and the movement and intersections of all the pieces is taking a bit longer to get nailed down. I'll start posting more regular updates for him in the blog section of this site as progress is made.